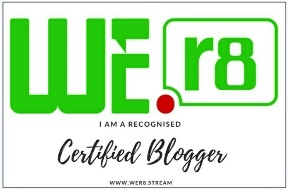 A blog is an abrreviation of the word weblog, originally defined as a website where a writer or group of writers chronologically express their opinions on a subject matter. 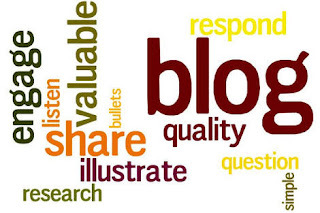 In my own understanding and matching it up with the upgrade in the system, I would define a blog as an online platform where a visionary group of people express their views on a particular matter of interest and not necessarily as writers only. But of course it's essential that every blogger knows how to write. It's important to know what kind of blog you want to own because there are several types and it will help you define your goal. For example: There are photo blogs i.e no write ups, just pictures of what you do, may be an art work or your designs, e.t.c. Customer service blogs i.e help desk, Fitness blogs i.e yoga, web design blogs, fashion/style blogs, family life blogs, school & career success blogs, lifestyle bloga, art & culture bloga, animals & pets blogs, music blogs, video blogs, cooking/food blogs, how to make or DIY projects blogs, soccer blogs, politics blogs, finance & budgeting blogs, news & entertainment blogs, humor blogs, gossip blogs, games & design blogs, professional or business blogs and lots more. It's possible to diversify but it's better you have a focus, so you know where you are going. Tumblr (e.g. anna.tumblr.com), Customised/Domain (e.g annablog.com). I make use of Blogger because it's owned by Google, more trusted and it's free. WordPress is also free & a good and reliable platform. Domains are not free because you pay to own it. You will need to buy and register a domain, and may also choose to get a website designer or graphics person to help you out. All you need to do is sign up, if you want to make use of Blogger, you will need a Gmail address, then go to Blogger.com, create an account, name your blog and choose a template from the many available varieties. Click on create your blog now button and follow Google instructions afterwards. But if you need help in setting it up, check Youtube for video tutorials as it requires practical guide. The same goes for WordPress. Just sign up on Wordpress.com and follow instructions. Please note: It will be quite different if you are to blog for someone else or for a cooperate site who already owns a blog, hosting, or domain. *Write on what you love or what the person whom you blog for loves. *Give people your opinion or perception on a news or story and provide your conclusion about the consequences or morals involved. *Share some ways your reader can improve something in their life. *What's been inspiring you lately? share it on your blog. *If you feel comfortable enough, write about a difficult time in your life and how you overcame it. *Do a guest post or contributors post. i.e ask other writers to submit their write ups or articles so you can publish on your blog. But if it's a corporate blog, ensure an Editor goes through the write ups/articles before you post them. *Share the movie, music and books you are currently obsessed with or passionate about and do a review on them. *Share an easy Do it Yourself post (DIY) or how to do something. *Share your favourite pictures and quotes. *Make a top ten list of something helpful. *Write essays but let it not be too lengthy. *Inconsistency: I have not been consistent and persistent on my blog, although it's one year old but I feel one of my very first blogging mistake was this. I started blogging when I was still in school, so I couldn't write and publish everyday because I didn't want my academics to suffer. *Not promoting your posts or adding social media sharing options: I am not really much of a social being so I wasn't able to make my blog posts reach a wider range of audience through the use of social media which is a vital key. *I didn't set any blogging goals: When I started blogging, I was just so excited to write and I got carried away that I forgot to set goals but I later did. *Blogging on my own: I didn't make enough research on what blogging is all about, I avoided adopting skills from popular bloggers in the industry. I just did my own thing. *No guest posts yet: Well I felt to do a guest post, I needed a larger audience. But I was wrong, guest posting is very essential as it opens you up and gives you new readers. If you are interested in any collaborations, please send your name or write ups to info@naomidestiny.com and you will get featured. 1. Your first post matters a lot. It creates your audience and determines if people will want to continue reading your blog or not. Your first post normally should contain an introduction of what your blog is all about and a warm welcome to your readers. You should let them know what to expect on your platform. 2. The title of your posts. The title of your posts must be very inviting, not too long but specific. i.e write catchy headlines. 3. Know how to use the 5ps of blogging. Plan, Pen, Publish, Promote, Participate. 4. Know how to connect to your audience. Know what they want and always keep them in mind, don't write about yourself always, know what excites and interests your audience in order to make them participate in what you write on. Use a conversational style and friendly tone, but be professional. 5. Include images in your posts. Use photos and graphics to demonstrate your key points and maintain high quality pictures, it's a major source of attraction. 6. Ensure you brand your blog using a logo, tagline or other relevant contents. 7. Publish great unique contents. Be original and ensure the content you publish is consistent with everything else you do in the real world. i.e. practice what you preach and be yourself. 8. Make sure you consistently blog to avoid loosing traffic. You can post more than once in a day if you have time. 9. Always draft an idea of what you want to write on paper before typing it on your system. 10. 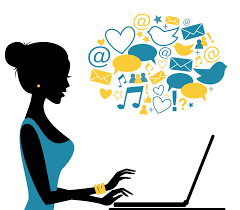 Make use of social media icons to promote your blog, use hash tags and links within your post and also do share your post link on your social network and online platforms. This will help increase your blog's search engine ranking. 11. Respond to blog comments. Not all comments needs a response but ensure you respond to the one that matters. 12. Cite your materials and give references to any material or image you copied. 13. Give away your knowledge and don't be afraid to showcase what you know. Do research, be creative, and have your own writing style. 14. Never give up on your blog because you are discouraged.